The tsunami wave of low-persistence CRT-motion-quality LCD’s continues. Hot on heels of G-SYNC official strobe mode, and EIZO’s Turbo240 official strobe mode, BENQ announces the XL2720Z (Z-suffix) with the Motion Blur Reduction feature, which Blur Busters confirms is another high-efficiency LightBoost-style strobe backlight, official and easily enabled in monitor menus. 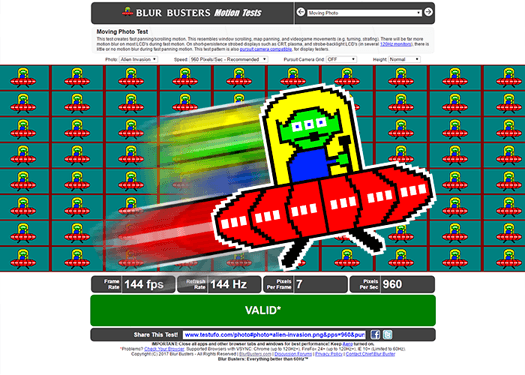 EDIT: Blur Busters confirmed strobing directly from BENQ staff; BENQ is also sending a review unit to Blur Busters before the Holidays, for us to test as well. 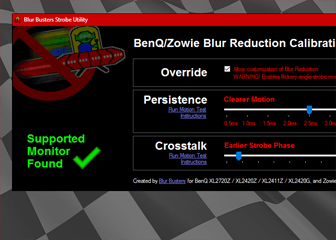 EDIT: See new Blur Busters Strobe Utility to tweak BENQ Blur Reduction. ← How does EIZO do 240Hz out of 120Hz? Any updates on this bad boy? 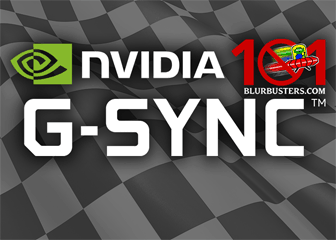 I think I’m all in on the strobing vs. G-Sync myself 🙂 Motion blur is the DEVIL! Yes, strobing versus GSYNC will certainly be a personal preference, as they fix separate motion quality aspect. 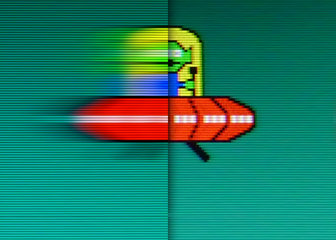 VSYNC OFF — Personal preference, as strobing can amplify visibility of stutters/tearing, but you still have less blur with strobing than GSYNC. So the pattern emerges; consistently high framerates favours strobing, and lower/variable/fluctuating framerates favours GSYNC. Hi. My question is does it burden graphic card performance like lightboost making lower max fps in games. Btw my opinion is they should make 16:10 and 4:3 for games/work, 16:9 is good only for cinema movies and monitor is not mainly for this. — Low-persistence / impulse displays (strobe/flicker/phosphor/etc) such as Plasma, CRT, LightBoost, Turbo240, BENQ Motion Blur Reduction, etc. Displays with very sharp motion clarity, means that motion blur is no longer hidden by stutters. Stutters are easier to see at higher framerates on impulse/strobed displays. So you want higher framerates than usual on ALL impulse driven displays (frame rate near refresh rate), to make motion look good. Viewing http://www.testufo.com on any strobed display, clearly illustrates that frame rates matching refresh rate, looks far better on these displays. e.g. Strobe backlights are not necessarily demanding on GPU. It’s just a function of LightBoost being limited to high strobe rates. And it’s known that it is primarily “visually appealing” with higher frame rates matching strobe rate (and LightBoost can’t strobe fewer than 100 strobes per second). 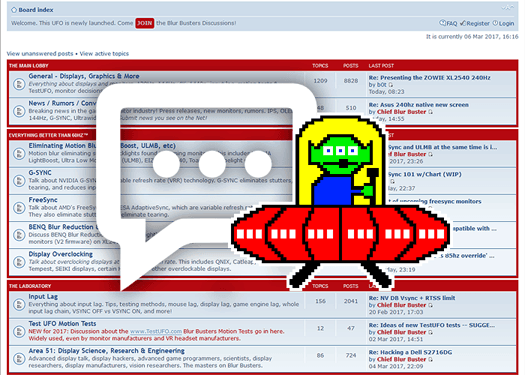 Thus, that’s why we recommend [email protected] or [email protected] (LightBoost is like a CRT limited to 100Hz to 120Hz). Fortunately, some upcoming strobed displays can strobe at lower rates such as 60Hz or 85Hz, so you have the option of running lower frame rates without motion blur, but with increased flicker. (120Hz flickers less than 85Hz or 60Hz). 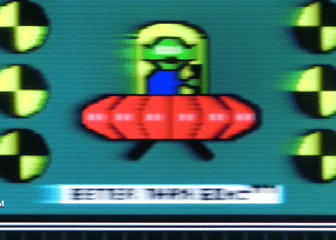 With strobing only 75 or 85 times per second, you can have really great looking CRT-style 75fps or 85fps, if you want a good balance between visible flicker and CRT motion clarity, without excessive GPU requirements. 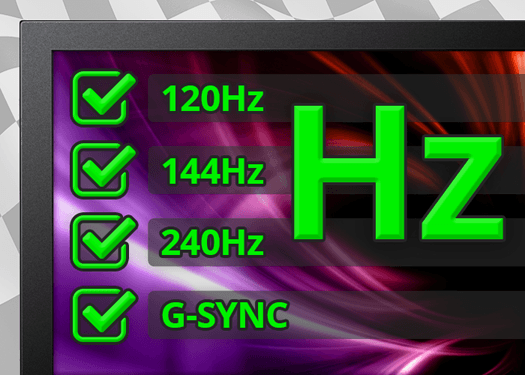 We’ll find out — if strobing is supported at 144Hz.